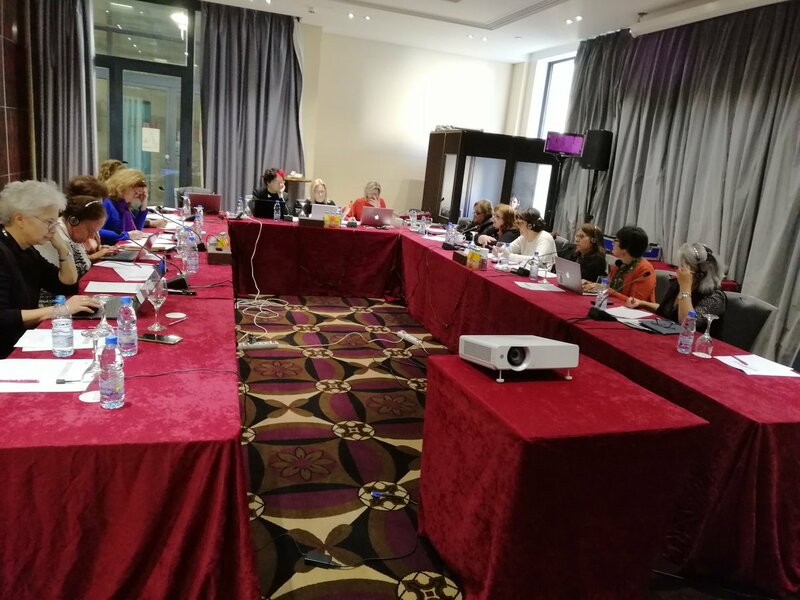 On the 10th of December 2018, the Board of the EuroMed Feminist Initiative (EFI) met in Beirut to discuss future plans and analyse the current context and the status of women, women’s rights and gender equality in the Euromed region and at International level. The meeting of the Board emphasised the successful year for EFI in terms of political presence and influence in the Euromed region through a wide overview of the current and future projects that contributed of EFI’s vision and mission from the work on engendering constitutions, political participation, support to human rights and women’s rights organizations committed to gender equality in Syria and the continuation of the implementation process of 1325 in Iraq, the follow up and publication of the outcomes of national roundtables on the UfM ministerial recommendations, the engagement of EU Madad multi-country project to engendering the governmental response to the Syria crisis in Lebanon, Jordan and Iraq to the launching, beginning of 2019 , of a campaign on violence against women – 3 years regional project supported by EU . In order to address this new phase, the board agreed to open three new offices in Amman, Erbil and Beirut which will be managed by three country managers. During the meeting, the board discussed the communication issues and noticed that the work of EFI members at the field level is not visible enough. Therefore, they decided to better promote EFI members and their activities on EFI’s website and social media channels. In addition, the Chairs of the Standing committees presented their proposal of concrete activities for the following months. Finally, some decisions were taken to improve the functioning of the network, the board agreed that the chair of the board will more closely communicate and follows up with the committees. They also agreed that EFI members will develop one activity per year at a national level. This will be reflected on the members plans and strategies and on different topics. In addition, they agreed to organise a dialogue between south and north on migrant and refugee issue during one of the EFI meetings.